For almost a century, we have been serving up “Good Things to Eat, Good Things to Drink” in beautiful, historic Savannah, Georgia. 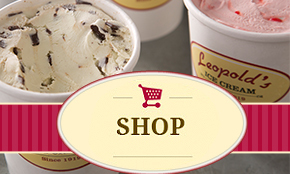 From our award-winning, homemade super-premium ice cream, unchanged since 1919, to our made from scratch soups, sandwiches, salads and freshly baked treats, you’re sure to find something memorable at Leopold’s. A Savannah tradition since 1919! You can indulge in signature flavors like Tutti Frutti and Butter Pecan, or try a scrumptious new treat… no matter what flavor you choose, your taste buds will thank you!